If you watched Tiger Woods will his way to victory through four rounds at the Masters this week, you may have noticed something strange about the Tiger Woods splashed across your TV (or computer) screen. This 43-year-old Tiger Woods was chewing gum. Throughout his comeback win for the ages, Tiger could be seen chewing away as he plotted around Augusta National. Exhibit A: This photo of Woods chewing gum, perhaps in the act of blowing a bubble, during Friday’s second round. 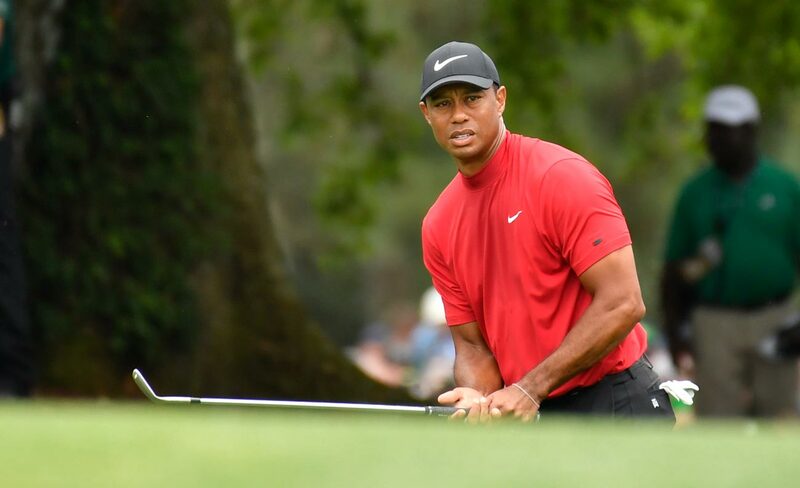 Tiger Woods pictured chewing gum on Friday during the second round of the 2019 Masters. And he wasn’t alone. Fellow Masters legend Phil Mickelson was chomping away all week, too. In fact, gum chewing while playing golf has been a bit of a trend on the PGA Tour of late. Mickelson adopted the practice this season as a way to improve his scores. He explained it this way after the Players Championship last month. Jordan Spieth is another top player who has chewed gum as a playing aid on the course at times, including during his win at the 2017 British Open. While the New Tiger may chew gum on the golf course, the Old Tiger did not. Which is why it was strange that in the biggest moment of New Tiger’s career — his closing shots on Augusta’s 18th hole on Sunday — the gum suddenly disappeared. For evidence, please first view the below video of Tiger’s tremendous near-ace on the par-3 16th hole. There’s no doubt he’s chewing away while watching his golf ball fly. But when it was time for him to close out his 15th major win on the 18th hole, the gum was nowhere to be seen. No chewing, no blowing bubbles, no frontal cortex-activating. Gum gone. Like this one, which shows Tiger preparing to hit his third shot into the 18th green, needing a bogey to slide into the green jacket. Tiger eyes his third shot on the 18th hole Sunday at the Masters. That jaw doesn’t look like it’s doing any extra work. Or this photo of the moment after Woods sank his winning bogey putt and threw his arms into the sky. No signs of gum to be found. 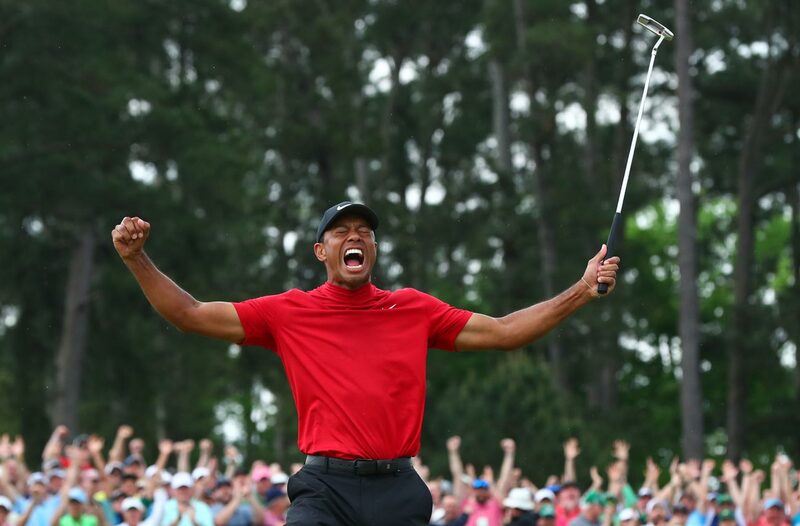 A gum-free Tiger throws his arms into the air moments after sinking the winning putt on Sunday. 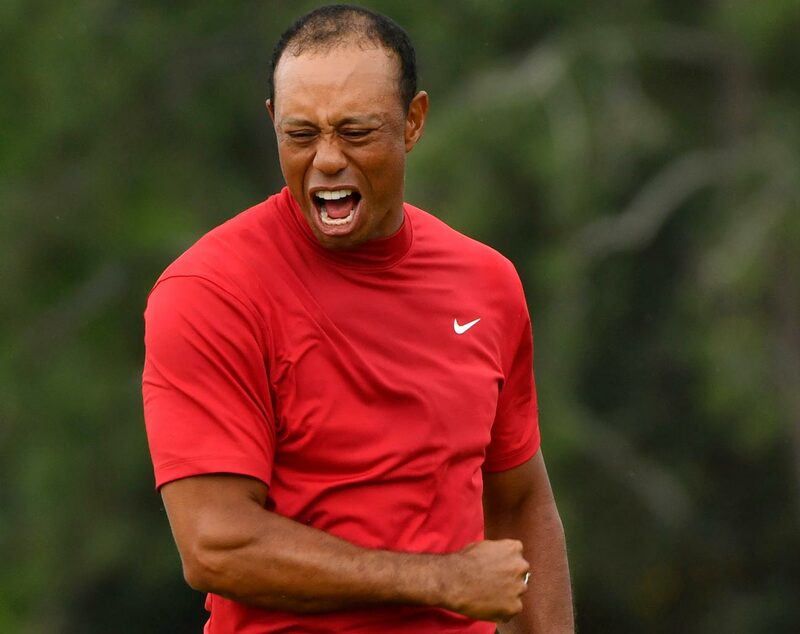 How about this snap from moments later, with a gum-free Tiger unleashing a mighty fist-pump. Tiger seconds after clinching his Masters win. 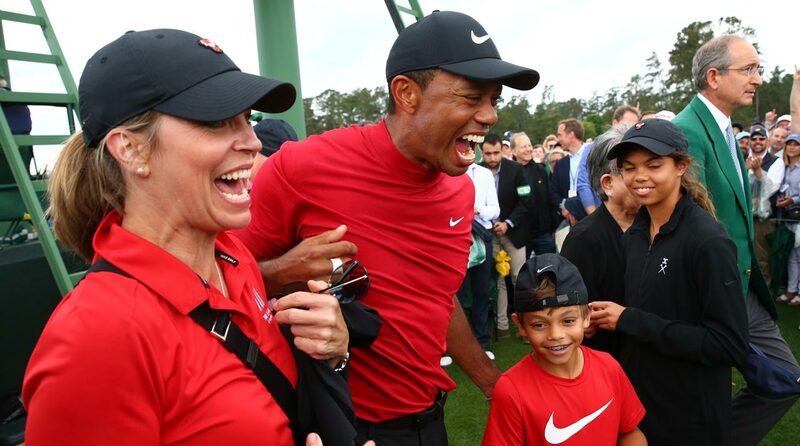 There was certainly none present once he was gleefully celebrating with his kids Charlie and Sam, his mom Kultida, and his girlfriend Erica Herman just off the 18th green. Tiger celebrated with friends and family after the round. For what it’s worth, his play on the closing hole was a little squirrely. You could attribute that to the gum’s disappearance. Or you could blame it on the fact that he was intentionally playing for bogey in a high-pressure situation. 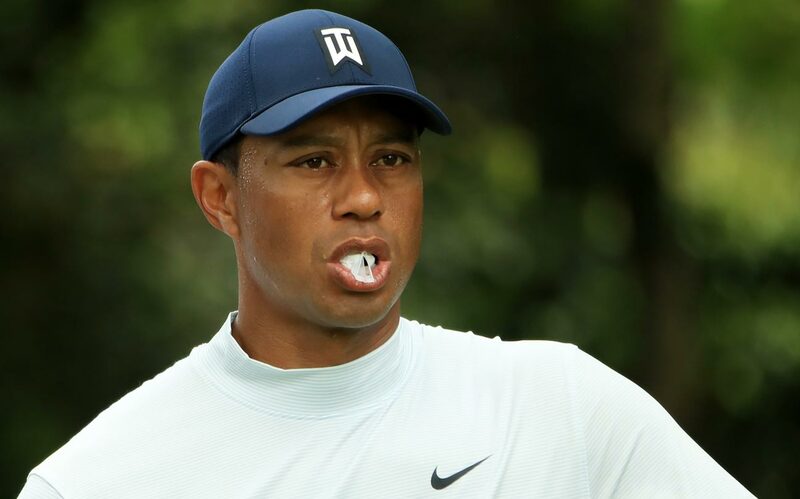 Woods brushed off questions about the reason for his newfound love of chewing gum earlier in Masters week, saying he did it to control hunger. Whether that’s true or, like some of his fellow competitors, he uses it as a game-improvement device, two questions still remain: Why did it disappear at the climax of Sunday’s drama, and where did it go?